Energy saving is a set of actions and technologies aimed at facilitating the reduction of energy consumptions. 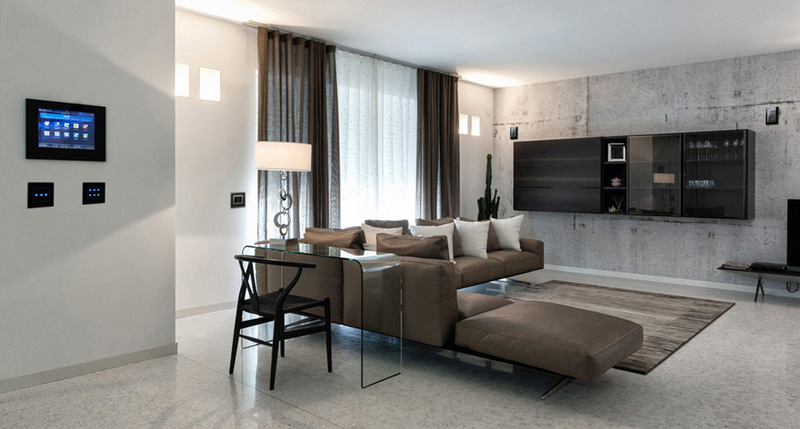 With DOMINA plus home automation you can enjoy maximum comfort and minimize waste. In addition helping to preserve the habitat, you can improve the energy classification of your home and consequently its economic value. 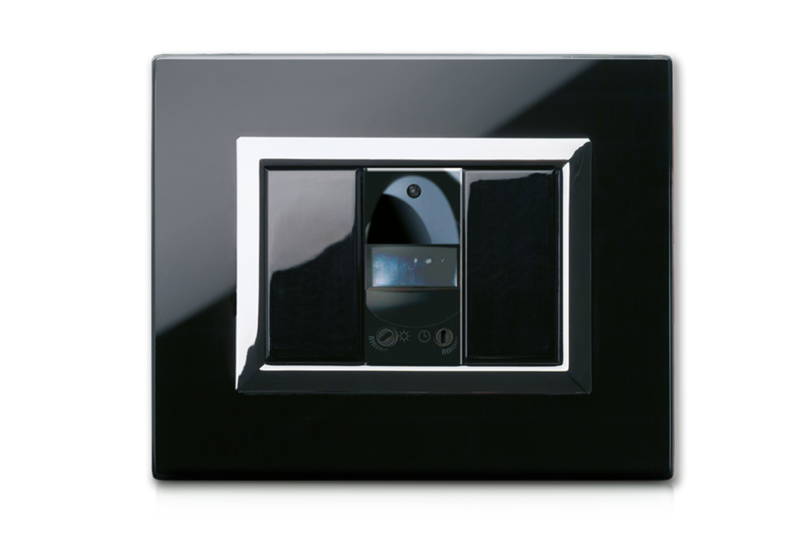 DOMINA plus allows you to constantly view your electricity, water and gas consumption. How does it work? 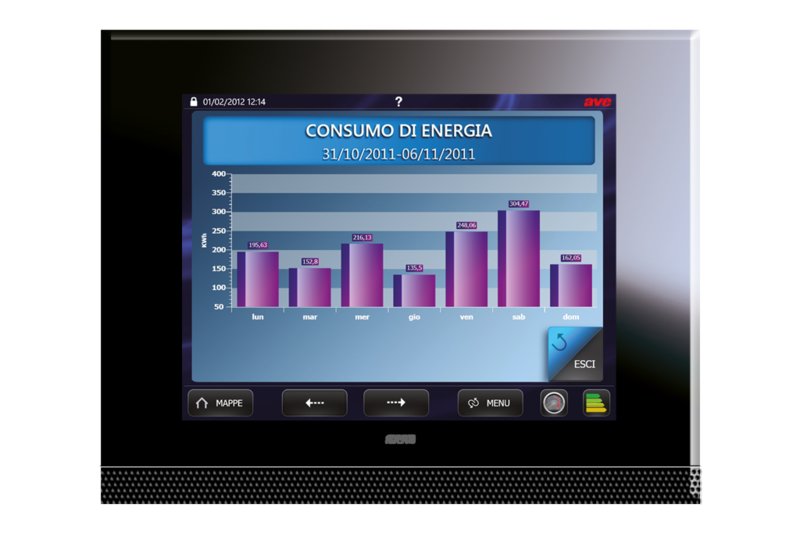 Directly from the consumption graphs on the Touch Screens of the home automation system, selecting the type of consumption to be checked and the period. Moreover, with this function you can recognize any malfunctions (such as water or gas leaks) in time, before they become problems with higher intervention costs. 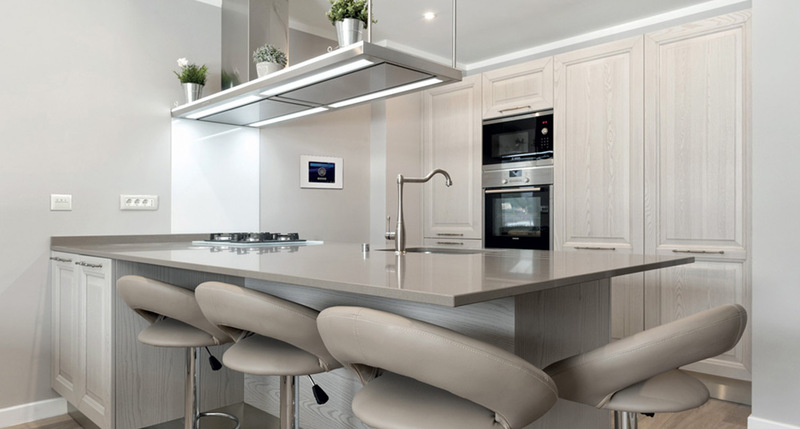 DOMINA plus home automation allows to manage lighting only when it is necessary, ie depending on the presence of people and the amount of natural light. Through the DOMINA plus “Luce Amica” device is possible to detect the movement of a person and check if the amount of present light is insufficient, thus adjusting the artificial lighting only when it’s strictly and truly necessary. DOMINA plus thermoregulation devices exhibit the innovative High Precision Thermostat technology, which helps to reduce expensive periodic temperature variations. 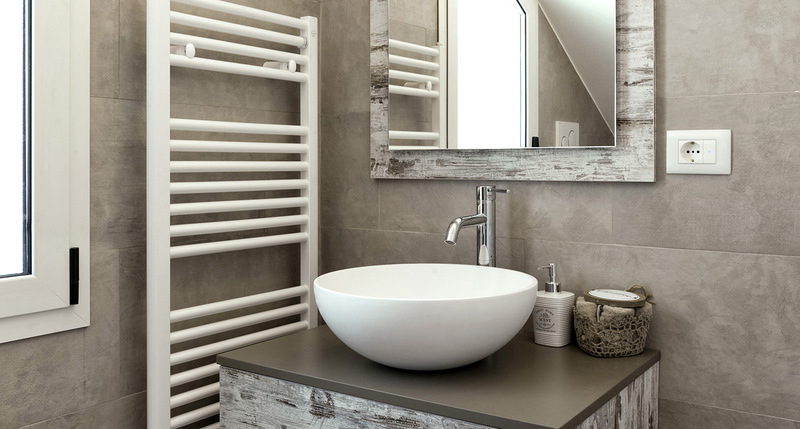 Thanks to multi-zone thermoregulation, you can set different temperatures in each room for greater energy saving. 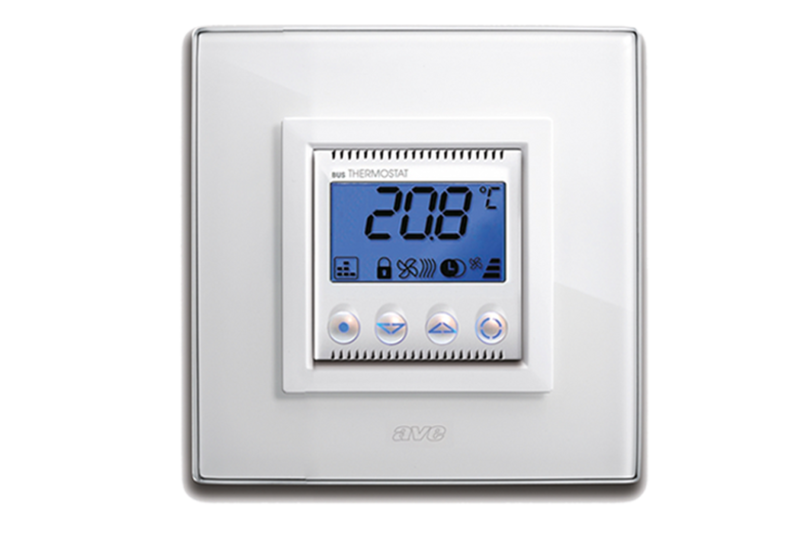 Moreover, by using the integrated AVE anti-intrusion system, the home automation will block the heating or cooling of the room in case you forget an open window. With DOMINA plus smart time control you can avoid that comfort results in waste. 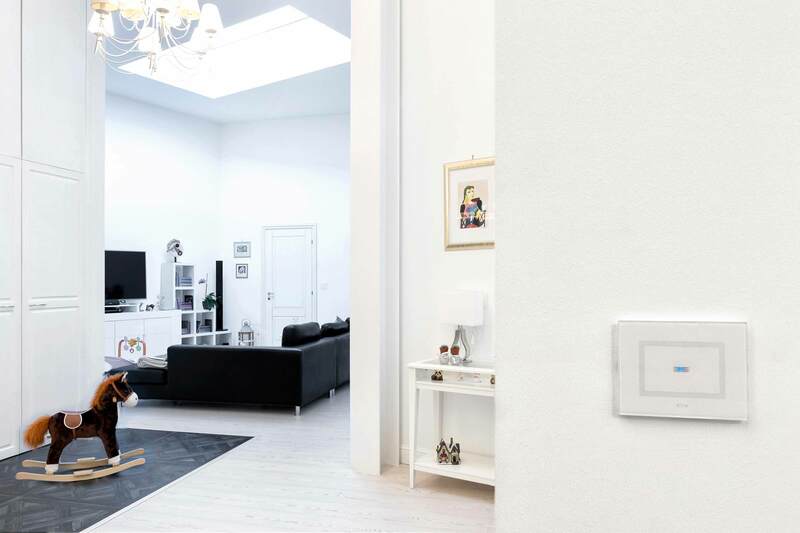 Functions such as air-exchange or the same thermoregulation can be managed automatically by the home automation system so as to use the strictly necessary energy. Moreover, thanks to the innovative DOMINA plus energy saving device, you can obtain a separate management of loads activation (by a timer) allowing to exploit the various contractual formulas currently on the energy market.